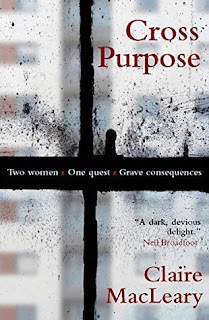 Two Women, One Quest, Grave Consequences When Maggie Laird's disgraced ex-cop husband suddenly dies, her humdrum suburban life is turned upside down. With the bills mounting, she takes on his struggling detective agency, enlisting the help of neighbour ‘Big Wilma’. And so an unlikely partnership is born. 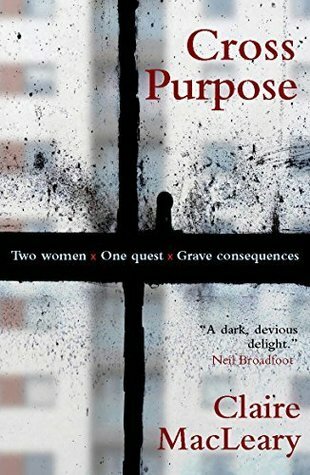 But the discovery of a crudely mutilated body soon raises the stakes... and Maggie and Wilma are drawn into an unknown world of Aberdeen's sink estates, clandestine childminding and dodgy dealers. Scottish businesswoman turned crime novelist Claire MacLeary mixes light and dark in her debut effort, set in the northern seafaring city of Aberdeen. It's an interesting blend, with some laugh-out-loud moments rubbing up against mutilated bodies. There's plenty to like about MacLeary's first effort, which was longlisted for last year's McIlvanney Prize (the Scottish crime writing award). Chief among them is the unusual but very engaging friendship between the chalk-and-cheese neighbours Maggie and Big Wilma. There's something very charming about how the two women come together, clash and connect. Maggie is more of a straight arrow, refined and maybe a bit meek (at least to begin with) whereas Wilma is larger-than-life, a huge personality which masks some vulnerability. They're an odd-couple investigative duo that plants the seeds for lots of future adventures. I could definitely see them being the spine of an ongoing series, the kind of characters readers remember and fondly return to. The plot unfolds at a medium sort of pace, with quite a few things going on. Maggie is trying to keep herself and (at the urging of Wilma) her husband's former detective agency afloat. She also wants to clear his name if she can, and help out some local kids who she's begun to worry about (she's a part-time teaching assistant). Debt collectors and shady characters hover. There's a teen drug dealer, and the body of a young student. There are times when it feels like the focus on the building relationship between the two leads (a strength) may be interfering with the pacing and narrative drive a little. Another area where MacLeary does well is how she draws us into the grimier parts of the Granite City, and the drab everyday of some of its citizens. High-rise flats, a lack of opportunities, broken families, and kids who've missed out on a lot and lost their way by the time they get to their teens. A good first effort from a writer who shows plenty of promise.